The Milky Way in which we reside, along with the Sun and a hundred billion other stars, including all those we see in the night sky, is a massive spiral galaxy. It is filled not only with stars but also a vast interstellar medium (ISM) containing all of the gas, dust and chemical elements required to form new stars, planets and life itself continuously for the last 10 billion years and on into the distant future. Throughout the local Universe we find countless other galaxies similar to our own, containing spiral arms in which new stars are continuously forming within dusty clouds of molecular gas. Some of these stars subsequently explode as supernovae enriching the ISM with the heavier elements formed within the stars, and which are needed to trigger life. These supernovae enrich also the surrounding inter-galactic medium (IGM), from which the galaxy also continuously accretes new, pristine gas. However we also see many galaxies in which this continuous life-cycle appears to have ended. In this population of “red and dead” elliptical galaxies, all that remains is a featureless, dense ball of evolved stars. All of the gas and dust required to form new stars has been lost or heated to 107K forming a hot, diffuse halo of ionized gas that surrounds the galaxy. What physical mechanisms allow some galaxies to evolve and grow via the continuous accretion of gas and conversion into stars, while others appear to have been struck down by some malignant force, losing their spiral structures, gas contents and abilities to form new stars? 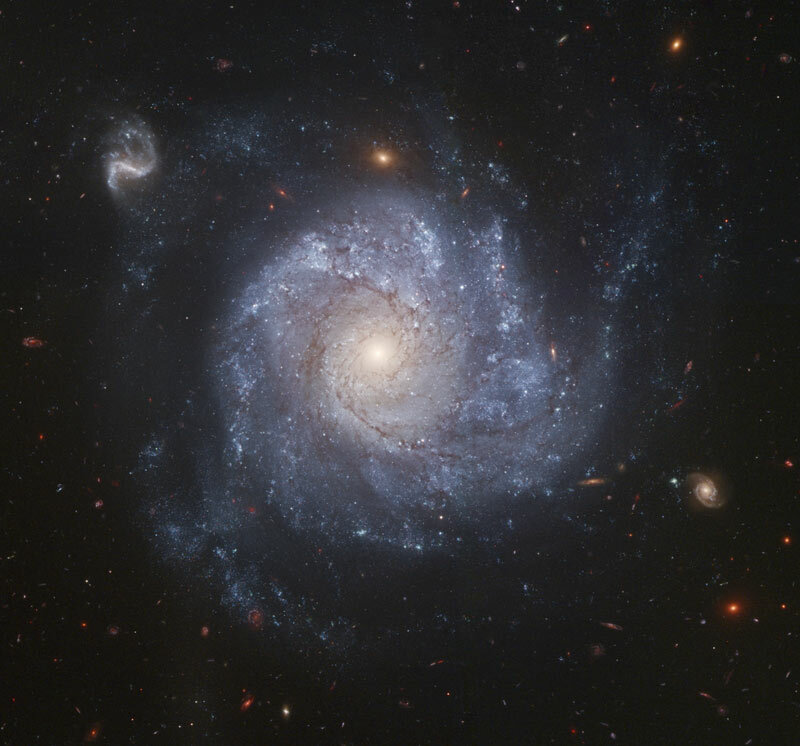 Understanding how galaxies (such as our own Milky Way) have formed, assembled and evolved continues to be one of the most fundamental unresolved issues in astrophysics today. The key follow-up question astronomers may ask is whether the mechanisms which decide the fates of galaxies are internal to the galaxy itself, so that the growth and development of these elliptical galaxies must have become unsustainable at some epoch; or rather some external process related to the environment of the galaxy which was able to strip off its ISM and destroy its spiral structure, transforming it into a passively-evolving (i.e. no longer forming stars) elliptical or S0 galaxy. In essence, is the evolution of a galaxy a product of nature or nurture? In the 1980s a series of seminal papers revealed that the properties of galaxies depended fundamentally on their local environment (Dressler 1980; Dressler et al. 1985; Giovanelli & Haynes 1985). In low-density regions (the “field”) where galaxies have evolved in relative isolation, they are primarily star-forming spirals. As astronomers looked at increasingly dense regions, where galaxies are closer together and may begin to interact with one another, the relative fraction of passive elliptical galaxies begins to increase monotonically, producing the classical morphology-density and star-formation (SF)-density relations. In the densest environments, corresponding to the cores of massive clusters and groups of galaxies where most of the baryonic matter is in now the form of an X-ray emitting ionized gas – the intra-cluster medium (ICM) – passive elliptical and S0 galaxies now completely dominate, with few if any star-forming spirals left. It was thus clear that external forces related to the local environment of galaxies must have played a vital role in their evolution. This sparked a series of theoretical papers which proposed a variety of physical processes which could transform galaxies as they interact with one or more aspects of their local environment. For example, galaxies falling into groups or clusters for the first time may be travelling at velocities (v) of 1000 km/s or greater, and so when they encounter the ICM, they feel a wind which imparts a ram-pressure, Pram=ρICMv2, stripping the least-bound gas from the outskirts of the disk and in extreme cases completely removing the gas from the galaxy, shutting down star formation (Gunn & Gott 1972). In the starvation scenario, galaxies are prevented from accreting new gas from the surrounding IGM by the presence of the ICM. They then slowly consume their remaining gas forming stars until their gas runs out and they become quiescent (Larson, Tinsley & Caldwell 1980). Gravitational torques induced when two spirals merge can rapidly channel gas inwards creating a nuclear starburst or quasar. 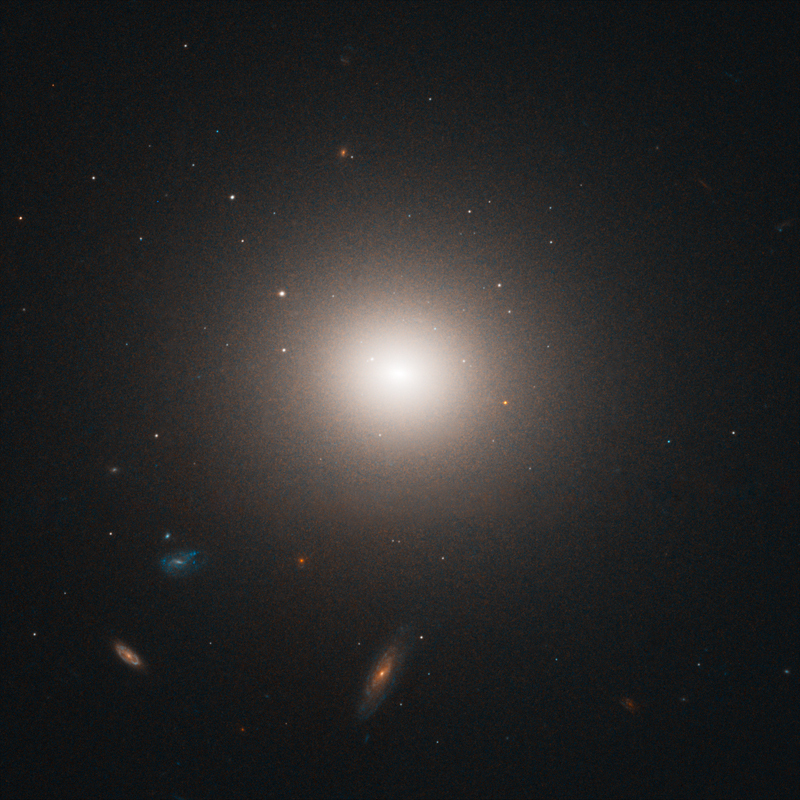 This is believed to be the best means of forming an elliptical galaxy (Toomre & Toomre 1972). In clusters the encounter velocities between galaxies become too large for them to coalesce, but tidal shocks induced by frequent fly-by encounters are thought to disturb spiral disks sufficiently that they thicken and lose their spiral arms. Due to this continual harassment they turn into S0 galaxies (Moore et al. 1996). Over the last 30 years, the technological development of wide-field and multiplex instrumentation and dedicated survey telescopes, have led to spectroscopic surveys such as the Australian-led 2dF and 6dF Galaxy Redshift Surveys or the US-led Sloan Digital Sky Survey (SDSS; York et al. 2000). These have obtained spectra and imaging of as many as a million galaxies, allowing astronomers to map in great detail the large-scale structure of the local Universe (Jones et al. 2009). By also placing each galaxy within its own local environment in terms of galaxy groups or clusters, or alternatively as massive central galaxies around which orbit smaller satellite galaxies, astronomers have been able to quantify the impact of environmental processes on galaxies in unprecedented detail (Gomez et al. 2003; Kauffmann et al. 2004; Peng et al. 2010). These have been very successful in separating the relative contributions from internal feedback processes and external environmental mechanisms to the evolution of galaxies. This relative contribution of internal and external forces to galaxy evolution has been shown to be a very strong function of galaxy mass (Haines et al. 2007). The properties of massive galaxies, such as the Milky Way, are largely determined by internal feedback processes acting within the ISM adjoined to their assembly history via mergers, although environment does also play a role (Haines et al. 2006). However, for dwarf galaxies similar to the Magellanic Clouds, and hundred times less massive than the Milky Way, internal processes are no longer able to completely shut down star formation. While vast statistical power of these great redshift surveys have made key breakthroughs in this field, it is likely that we have now reached the limits of what can be achieved by traditional optical imaging and spectroscopic surveys. The fibers used to extract the spectra for these surveys tend to cover only the central bulge region of the galaxies, which may not be representative of the emission from the whole galaxy, producing significant aperture biases, particularly for early-type spirals. Environmental processes by their nature impact galaxies from the outside in, and so fiber-fed spectra covering only the central regions of galaxies which are least affected by these processes means that the effects of environment will be likely significantly underestimated. A second major bias of optical surveys comes from their missing a significant fraction of the emission from ongoing star formation due to dust obscuration. Star formation within galaxies occurs within dense, molecular clouds embedded within the ISM. As such most of the energy output by these new stars is absorbed by the surrounding dust and re-emitted in the infrared, making infrared data mandatory to robustly account for this star formation hidden from optical detectors. Moreover, the formation of stars within these gravitationally-bound clouds is not likely directly affected by environmental processes external to the galaxy. Rather, these processes impact directly on the ISM, by removing (or redistributing, heating) the gas and dust contents of a galaxy, which then affects the future formation of molecular clouds and stars. Hence, to fully understand the origin of the SF-density relation, it is mandatory to measure this impact of the environment on the interstellar medium. However, a detailed knowledge of the effects of environment on the ISM and dust contents and how this drives the SF-density relation is still largely lacking. One accessible probe of the state of the ISM in distant galaxies is via far-infrared observations of the thermal emission from their dust contents, comprising a warm component of small dust grains heated by star formation, and a cool cirrus of large dust grains heated by the general interstellar radiation field. The far-infrared allows astronomers to look into the cool dust clouds where stars and planets are forming, but is absorbed and scattered by water vapour in the atmosphere. This requires infrared telescopes to be space-based. In 2003 NASA launched the Spitzer Space telescope as one its four Great Observatories, while in 2009 ESA launched the Herschel Space Telescope. This is the largest ever telescope put into space, having a 3.5m diameter mirror and costing 1.1 billion euros. These two telescopes have revolutionized our understanding of galaxy evolution by providing complete unbiased censuses of star formation in galaxies to z~1 and beyond, revealing the ~10x decline in levels of star formation over the last 8 billion years. Combined with near-infrared data to provide stellar masses and extensive redshift follow-up, a new generation of multi-wavelength surveys have revealed how stellar mass has been assembled in galaxies over the last 8 billion years (Bell et al. 2007; Brown et al. 2007). Without the infrared data there appeared insufficient star formation overall to account for the observed growth of stellar mass in galaxies since z~1, meaning that this growth could only be explained via multiple “dry” mergers of already “red and dead” galaxies. The infrared data revealed significant levels of obscured star formation, including among galaxies previously classified as “red and dead”, sufficient to account for the entire growth of stellar mass without recourse to dry mergers, thus fundamentally changing our viewpoint on galaxy evolution. The same methodology is being applied within the LoCuSS cluster survey in order to achieve the same paradigm shifts, but this time in our understanding of cluster galaxy evolution, by obtaining Spitzer and Herschel far-infrared data, as well as ultraviolet, optical and near-infrared imaging for 30 massive clusters at 0.15<z<0.30.